This is from Clear Acrylic Paperweight - Top Quality! Our strong & safe packing is Each pc packed bubble bag+foam,then packed into the export carton. 1. Help design and achieve your ideas about acrylic related products. 3. Customized Service Available, including a variety of color, etching, Shape and style options. 4. Safety delivery and Good quality with SGS certificate. 1. Sample confirmation before bulk production. 2. Our QC team will inspect random samples during the manufacturing process. 3. QC team to check the packing safety before loading. 4. Machine Check every month to ensure every product with the same good level. 5. 8 Years experience in acrylic product manufacturing and exporting line. Established in 2005, Shenzhen Bosn Arts & Crafts Co., Ltd. is located in Shenzhen, China. We have a factory covering an area of more than 2,000 square meters. We are a professional acrylic (organic glass, lucite, and perspex) manufacturer which specializes in acrylic designing, sampling, manufacturing and selling. We respect the talents and focus on the acrylic industry, boasting a professional team which has participated in the field for years. We have top-grade facilities and technologies of laser cutting, laser engraving, ink-spraying, silk screen printing, heat bending, jointing, and mold making. All the processes are completed in house. Our main products are acrylic furniture, acrylic lecterns (podium), acrylic bakery cases, acrylic cupcake stands, acrylic cosmetics & jewelry displays, acrylic electronic & watch displays, acrylic photo & picture frames, acrylic brochures & calendar holders, acrylic office & household supplies, acrylic restaurant & hotel supplies, and crystal products. We can help our customers to design and manufacture different kinds of acrylic products which are popular in the worldwide markets. We have broadly obtained the advantages from others and provide our dear customers with hospitality. The concept which helps our company to develop is "Advanced Technology, the Best Quality, Ideal Service, Sincere Cooperation and Co-development". 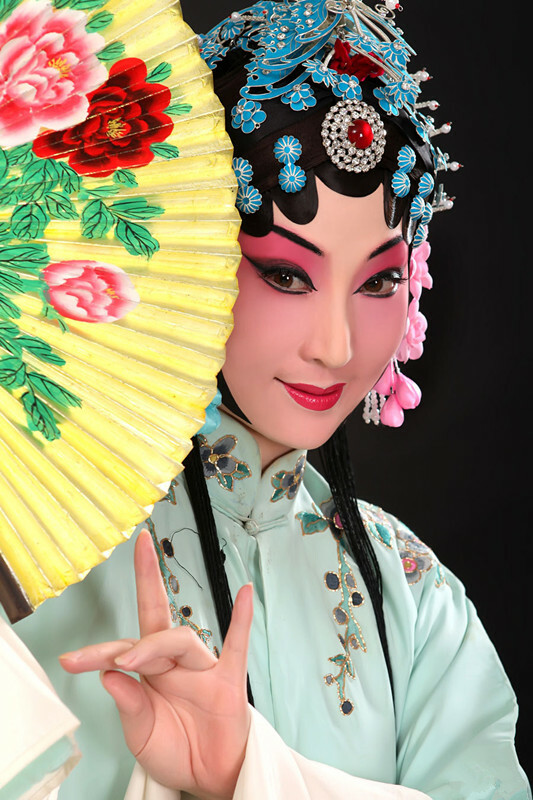 To be one of the pioneering Art & Craft suppliers of China is the dream that we are pursuing, and BOSN people are always endeavoring to achieve it! A:what materail is your product made of ? Q:Most material depends on customer's demand.Under normal circumstances, we accept customized design for your acrylic, organic glass, PVC, MDF, PC, PS, wood, metal products. A :If we are in urgent need of products, whether you can shorten the delivery time? Q:Yes, if it is urgent, we will arrange shipment as soon as possible. A :whether we could print product LOGO or other information on the products? A :Do you accept small orders? Q:Yes, we have provided such service, it is our important business.Only need to tell us more details, such as size, quantity, etc., then we will manufacture products for you according to your needs. A :How you will pack the product, whether your packing method can ensure the security of long-distance transportation? Q:Normally, we use PP bag to package products. And then put them in the master carton.To protect products from damageing, carton is filled with foam. For a fragile product, we will add a main box. 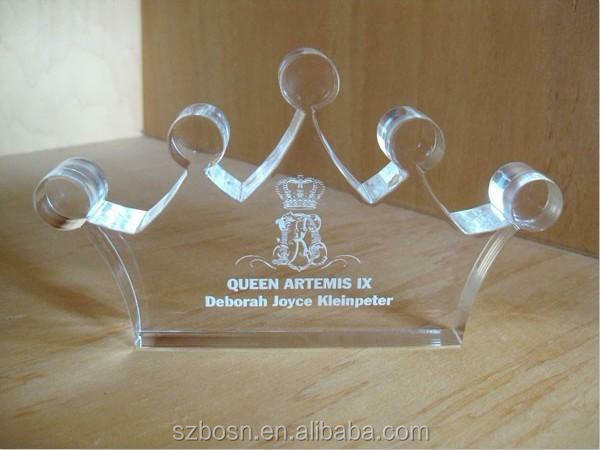 Welcome to contact with me( Creative Crown Design Acrylic Paperweight Block ) !